Agartala: Border crimes, disputed territories and better border coordination would be discussed at the bi-annual meeting of Border Security Force (BSF) and Border Guards Bangladesh (BGB) beginning Sunday, top BSF official said on Saturday. Sector Commanders of BGB's Sarail and Chittagong regions and Inspectors General of BSF's three northeast India frontiers'-- Tripura, Meghalaya, and Mizoram-Cacher -- would attend the four-day meeting at Tripura frontier headquarters in Shalbagan, 12 km north of Agartala. BSF's Tripura frontier Inspector General Hemant Kumar Lohia said that the two sides would fine-tune strategies to check crimes, smuggling, illegal movement and work to resolve disputes over territories. "Erection of border fencing along the remaining portion of India-Bangladesh territories, water sharing and cleanliness of drainage water would also be discussed," Lohia told IANS. He said that after the first phase of the meeting, the BSF and BGB officials would go to Kolkata and meet the BSF's Special Director General (in Eastern Command) Nasir Kamal. "Reduction of border crime along the borders could be possible through mutual understanding between the BSF and BGB," Lohia added.He said that the BGB has set up five border outposts (BOPs) along the unfenced Chittagong Hill Tracts (CHT) to maintain close vigilance alongside the mountainous border. 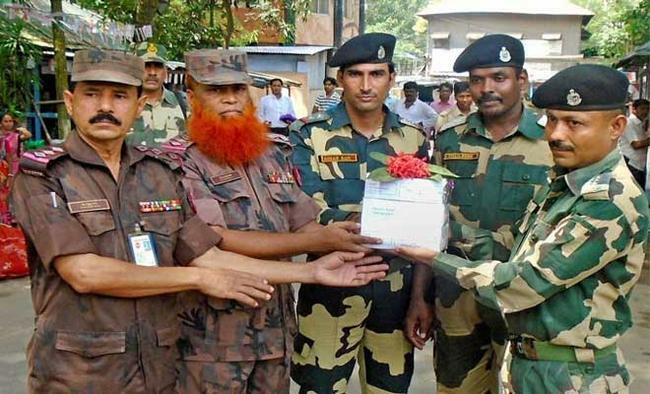 "With the help of BGB and other security forces of Bangladesh, terrorist activities in the North-East and their trans-border movement have been reduced," the BSF official said.Four northeastern states, Tripura, Meghalaya, Mizoram and Assam share 1,880-km international border with Bangladesh.Most parts of the 1,880-km frontiers are unfenced, mountainous and prone to crime.